A short 8km drive north from the centre of Napier is the village of Bay View. 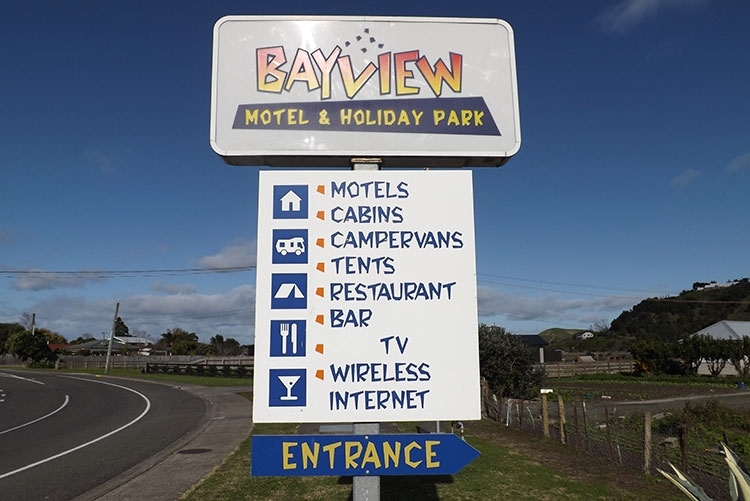 At the heart of this community is the Bay View Hotel. 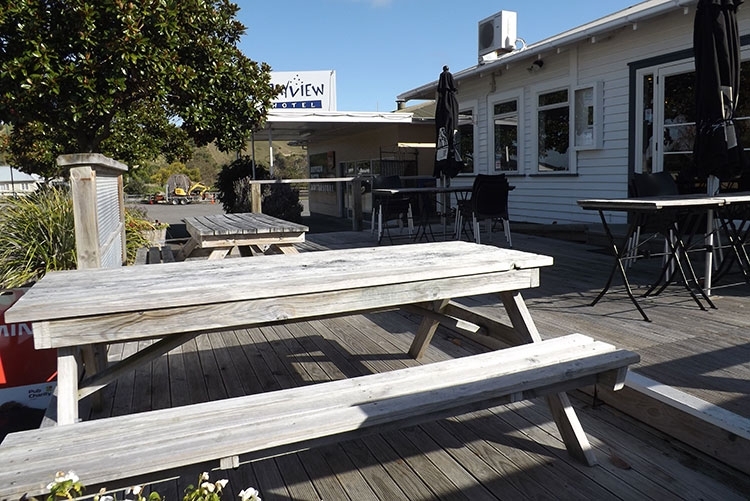 Whether a local or a visitor to the area, you are assured of a warm, friendly welcome and you will enjoy great food, a wide selection of refreshments (yes, even coffee) and experience small town New Zealand hospitality. Locally owned and operated, this 50-year-old hotel offers ample parking, comfortable indoor and outdoor areas to enjoy the peace and quiet of the surrounding countryside. The hotel's main bar has a pool table, juke box and two TVs... great for watching two things at once! The friendly staff can usually be persuaded to change channels... unless of course the All Blacks are playing. 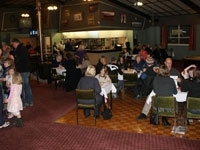 There is a gaming room, bottle store and the large lounge is available for private functions. Bistro-style meals at affordable prices are offered 7 days a week. The hotel is open 7 days a week. A perfect place to relax and enjoy a Kiwi experience. All roads lead to the Bay View Hotel for the famous Pig on a Spit. The jewel in the crown is the famous, not to be missed Pig on a Spit... Sunday evenings at 6pm in the large lounge. Bookings essential. This is a buffet packed with great New Zealand flavours. No need to decorate your plate with a small bit of this and that... you get to select what you want and how much of it you want, providing it fits on the plate and can be carried with dignity (ie no spillage). One serving only (no refills) and if you can manage it, there is a FREE dessert (actually a selection of desserts). Team this with a great selection of beer, wines and spirits, you are guaranteed a fulfilling eating experience and you will soon realise why this is a highlight of the Bay View Hotel's hospitality. Exceptions: Not available Easter Sunday or the Sunday between Christmas and New Year. We were extremely impressed with how clean and well-kept your grounds and facilities were, the excellent well-priced bar meals and the friendly welcome we had from both you and other staff. We hope to return for another visit and will definitely be recommending you to friends and family. Keep up the good work and thanks again. Lovely & clean with everything you need. Bill was great & his Sunday evening Pig on a Spit excellent. Wish I could have stayed longer. Great spot and bill was lovely. Great showers and kitchen and so cheap compared to most. 20$ for 2 on unpowered though quiet price, 15 $ pp when busy. Yup, Bill certainly is very friendly. We have a cabin with cooking facilities and ensuite wet room. Fantastic! Especially after a long week on the road with only basic facilities. A little hotel with rooms and campsites. There's a inside and outside kitchen, warm showers and very clean toilets. There's also a little restaurant. Bill, the owner, is one of the friendliest persons I've ever met! Country-Style Hotel with 8 Rooms. 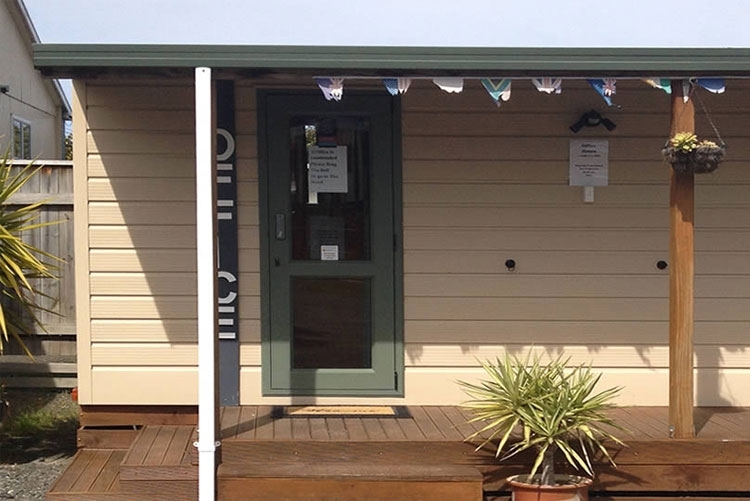 Perfect for people who need medium to long-term accommodation in Hawkes Bay. 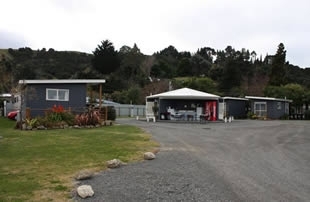 Relaxed Pet-Friendly Camp Grounds with new units and campervan facilities situated less than 1km from the beach. The jewel in our crown is our famous, not to be missed, Pig on a Spit. Sunday evenings at 6pm in the large lounge. 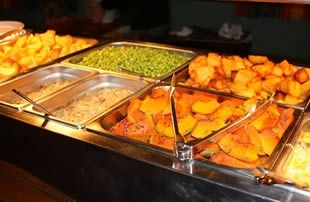 Boasting spit roasted pork and slow cooked beef along with an assortment of roasted veges, mushrooms, peas, carrots yummy homemade gravy and apple sauce.